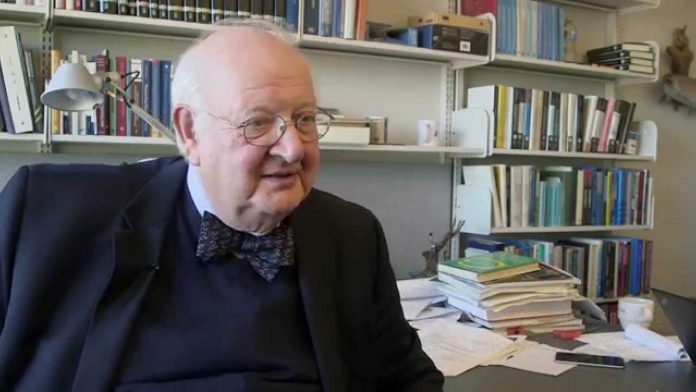 New Delhi: Angus Deaton, the British economist who won the Nobel Prize in 2015, and French economist Thomas Piketty are advising the Congress on its ambitious poll promise of minimum income guarantee (MIG) to the poor, party leaders have told ThePrint. Congress president Rahul Gandhi declared Monday that the party would provide the income guarantee if voted to power in May. Although he did not specify the amount, party sources indicated that it would be ‘anything above Rs 10,000 per month’ per household. This is, however, likely to change, depending on what the Modi government offers in terms of its poll sops in the coming days. Congress sources said that the party reached out to Deaton and Piketty as Gandhi has studied their works. Piketty’s much-acclaimed book, Capital in the Twenty-First Century, dealt with how inequality grew since the industrial revolution and wealth got concentrated in a few rich families — a favourite subject of the Congress president who has been attacking the Narendra Modi government for allegedly making the rich richer and the poor poorer. The Economist called Piketty “the modern Marx”. Deaton has also done extensive work on income inequality, poverty and health, especially in the Indian context, and has co-authored many works with Amartya Sen, another Nobel Laureate, and Jean Dreze, a former member of Sonia Gandhi-led National Advisory Council during the UPA regime. Congress leaders, privy to the details of the MIG promise, claimed that it’s not a hare-brained idea meant to lure the voters. “It’s born out of sound economic thinking. A lot of research, consultations and data analysis has gone into the MIG promise,” a senior party functionary told ThePrint, adding that former prime minister Dr Manmohan Singh is also “on board” with the proposal. “In fact, the idea of MIG first took shape at a dinner hosted by Praveen Chakravarty (chairperson of the Congress’ Data Analytics Department) in his Mumbai home for (former finance minister) P. Chidambaram in December. There have been a lot of deliberations with well-known economists around the world after that,” the party functionary said. Chidambaram and Chakravarty are learnt to have already arrived at the promised minimum income figure, identified the potential beneficiaries and calculated the cost to the exchequer. As originally planned, the details were to be made public in the party manifesto, but the Congress president chose to declare the idea of MIG Monday to “pre-empt” the possible announcement by the Modi government of the much-speculated and anticipated universal basic income or a farm investment support scheme on the lines of Telangana’s Rythu Bandu or Odisha’s Kalia. Although the Congress is tight-lipped about the details of the scheme, Chakravarty gave some broad hints in an article in ThePrint about how the Congress plans to roll it out if it comes to power. “Fiscal restraint will be adhered to. It is our belief that the scheme can be adequately funded through a combination of increased revenue (not necessarily higher taxes) and rationalisation of expenditure,” he wrote. He said that it would be “too simplistic” to think that all subsidies and welfare programmes would be abandoned to roll out the MIG scheme. This should clear the air !!!! They are very good economists. But they nor the gentleman who is seeking power cannot undo the ill effects of the ManMohan Singh – P Chidambaram combine selling away real assets to the foreign entities through convenient money transfers nor the redistribution of wealth nor the retrieving of real assets dispossessed from the value adding population. Indian Reforms practiced at the instances of the West were only to infuse Foreign Money into the system for gambling and dispossession from locals. So Good Luck on Promises – which every one knows by the time the term is over the ill effects gets displayed. If a party wins the consecutive term it is a consolation price that at least something good is done during their tenure. If in any State opposite parties come to power alternatively implies both parties are in the business of amassing wealth for their party leaderships and dispossess the working and value adding population their earnings. After going thru the contents of the top economists, v can assume a new Marxian theory of communist world. But Marx never said that any money can be floated free without toiling worth of it. Where from the money ‘ll be made available i.e. issuing of currency without keeping security (a disaster), forcing the capitalist cronies to vomit out a big share of capital amassed(anarchy), stop investing into purchase of defence equipments(defenceless Indian borders), no more increments for employees in any sector and/or releasing/acquiring the money looted by the Indian politicians in the last 70 years making this country a banana republic like the ones in Africa. Communism has failed throughout the world, except China, who had to open the economy to overcome the poverty unlike North Korea & Cuba. Will India as a nation could sustain its recognition, if such useless ideas r brought into practice. The only Nation who can give out money to any is the US as their Dollar is value added by the rest of the world. India don’t have that luxury of creating fiat money and getting them value added. We lost all our value adding propositions in the last few decades of reforms. Our real assets are now international commodities owned by the foreign entities or of Indians with foreign reserves. Alas; Our politicians serve themselves and the masses stays with claptrap of stump orators. His family is greedy for power.For power they will fight tooth n nail to be bcz they want save the Currupt Vadera at any cost. Whether the nation goes to huge debt n this freebie fills the country with lazi sluggish citizens hesitant to work, it is if no concern to them. If no work where will the money can be generated from? by the way whose money will he be distributing?. Does he think that public money belongs to him. n what about development?? where will mknry come from?? Go to World Bank, IMF !! that way we will be pushed back in economy.. People should ignore such popilist measures which is just to come to power. “Congress sources said that the party reached out to Deaton and Piketty as Gandhi has studied their works. Piketty’s much-acclaimed book, Capital in the Twenty-First Century, dealt with how inequality grew since the industrial revolution and wealth got concentrated in a few rich families” – “REACHED OUT”!!! Well, this seems like celebrity endorsement. And “CONCENTRATED IN A FEW RICH FAMILIES”!!!! Which ones? The Gandhi family and their cronies? Cannot blame Rahul Gandhi as Modi himself is responsible for leaving this flank open for attack. 2) how to dole it out to make relief to the ultra-poor a reality. The first point is for the learned economists to deliberate over. The second point is for the man in the street to comment on, and that’s what I’m going to do. MNEREGA became successful because it involved a “guaranteed WAGE”. Which meant, the person had to do work to be entitled to that minimum and guaranteed wage which, in the least, expected the person to be PRESENT at the site of work. ** another real danger of floating big money into the society in an easy way, is that it will cause food inflation. The food grain sellers and vegetable vendors will jack up prices, so, soon the MIG amount won’t be adequate for the person whom it was meant to benefit. In a way this scheme will turn out to be a bonanza for the unscrupulous trader class. One solution to it is that government should FIX PRICES of food and other items of daily need. Another solution is to make MIG scheme ride piggyback over the already existing PDS scheme. In the latter a person pays some small amount for foodstuff; in addition to that, under MIG, the vendor will need to provide some items for FREE. ** for minimum education of the children of persons covered by MIG, the neighborhood schools should be DIRECTLY compensated by the government towards fees and school supplies like uniforms, stationery etc. All this will entail a huge government controlled infrastructure. Supply of school materials, commonplace medicines, kiosks for such bare minimum supplies. This will also give opportunity for large scale employment generation, to have people to man those kiosks and supply chain. Government can see this as an opportunity, perhaps create a new “Ministry of MIG”, with its own band of inspectors, tailors, vehicle drivers etc. But this will be the only way to do it if it wants the MIG scheme to succeed. If the government thinks that merely by providing certain amount of money in certain bank accounts it can benefit the ultra-poor of our country, then it’s in for a huge disillusionment. It will turn out that it has benefited only the last-mile grocer and vegetable vendor, and HARMED the entire middle-class by ushering in big food inflation. Your suggestions are valid; the only fear is that if our society was disciplined and with high morale any support designated to the very poor will reach; but Our societies standards on the two items mentioned are questionable. And the heaviest influence depriving the poor are the political supporters and the lower rung bureaucrats. To discipline them is the biggest challenge.